Build a greenhouse and do your bit to save this planet. A greenhouse will protect your plants from too much heat or cold and from harsh weather conditions. It also allows you to grow certain crops throughout the year. But a greenhouse needs to be carefully built and properly designed. These greenhouse plans include simple greenhouses to large scale greenhouses which are designed to give you maximum productivity per square area. This greenhouse is designed for the cold, short growing seasons of the northern regions. 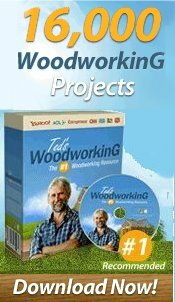 Build a wood frame greenhouse using these step by step instructions along with illustrative pictures. Step-by-step greenhouse plans to build a lightweight, movable greenhouse. 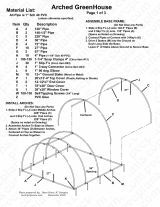 Build an arched greenhouse using pvc pipe. Build this simple greenhouse with 2x4s, cattle panel and cedar plastic. 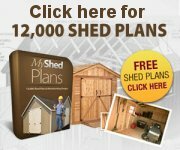 Free plans are nice, but if you want to buy a greenhouse plan instead, check out the book listed below. Find out how easy it is to build a vibrant greenhouse in your backyard without much of a fuss.